Due to continuing circumstances, this is another batch update with very brief comments on each series. I love how even those watching from the side-lines are physically affected by the intense card fights in the National Tournament. 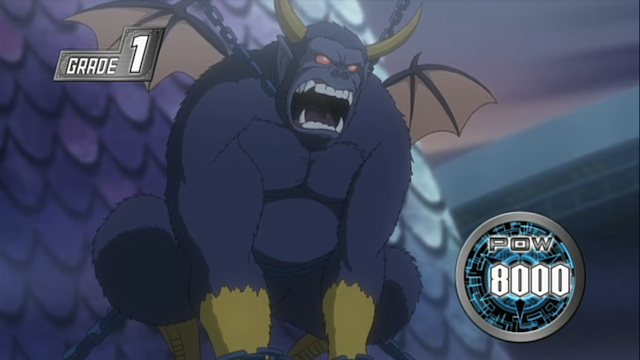 Another cameo in Cardfight! Vanguard? Is this one from Milky Holmes as well? That would make at least 4. 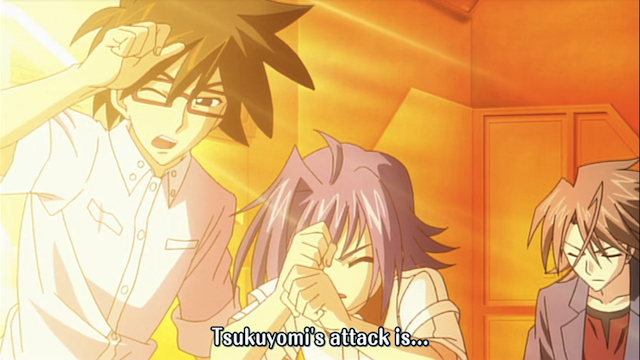 Misaki lost her match, as I guessed, and Aichi is still struggling through his. He is up against a tough opponent from the Foo Fighters team. I guess I should say “Teams”, since Foo Fighters has two teams in this tournament for some reason. I don’t know what to make of these continued cameos, I only watched the first couple of episodes of Tantei Opera Milky Holmes, so I’m not really sure what the connection between the two series is all about. Just one of the many inexplicable ending features in this show. This week Kaiji’s plan for dealing with the plates was revealed. Again, the extents to which Kaiji is willing to go in order to win are pretty entertaining, especially when we get to see the revelation on his opponent’s face. I have no idea if the engineering required to pull off this cheat is technically feasible or not, but it was completely unexpected by me, so I’m happy. I also wanted to comment on these ending sequences. They really add to my enjoyment of the series, because they add another level of WTF-factor. The choice of quotations from the show is often bizarre, and the woman who breathily recites these “proverbs” is so divorced from the universe in which the show takes place that it can leave one’s head spinning. And yet it seems to be so fitting. The sayings lifted from the show are usually not particularly brilliant, but they are recited so seriously, that it is almost a perfect counterpart to the narrator’s excessive excitement, regardless of how little action is actually happening. All in all, Kaiji is a pretty strange show, but I always have a good time watching it. Minerva, the goddess of wisdom. Or it might actually be a plushie. 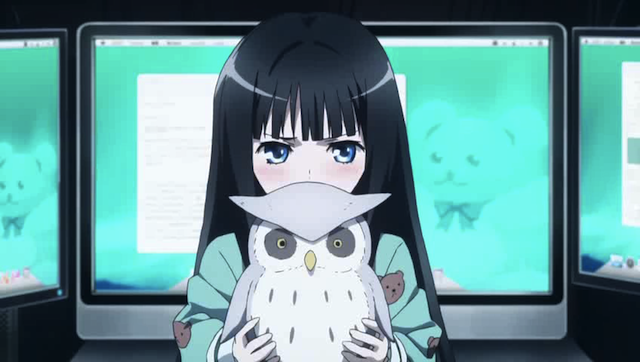 This episode of Memo-chou continues the “mystery” from last week. Honestly it played out pretty much as I had expected, so I am a little perplexed as to why this was spread across three episodes. I suppose that might become clearer in next week’s conclusion. I’m happy that there is a darker background to the mystery this week, with Yakuza and arson, and people getting beaten up, and so forth. That works for this show, but J.C. Staff managed to stuff all of that into the background, and highlight the stuffed animals and embroidered butterflies. 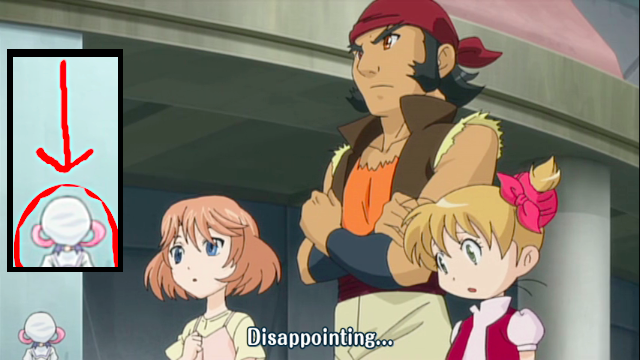 This show has some good aspects, but it looks like it will be overwhelmed by some questionable choices in direction. Well folks, make sure to enjoy the rest of the Summer before it is all gone! Phew, still having internet issues? Hope they get resolved real soon, posting from the library sounds like a huge hassle. As for Kamimemo, while the situation played out how I had expected for the most part, the character interactions were a bit more unexpected. The bit with Alice and Narumi was particularly interesting, mainly because it shows how they’ve come to trust and worry about each other. Not quite the best episode plot-wise, but it was nice in terms of providing some nice little character insights. Yeah, and I liked that we got to see the Hirasaka Group as a real Yakuza group (instead of just a bunch of bodybuilders who don’t understand computers). I’m not as down on this show as some people are, but it certainly doesn’t make my must-watch list. Oh well, every show can’t be great, and Kamimemo isn’t bad, just average, it seems.